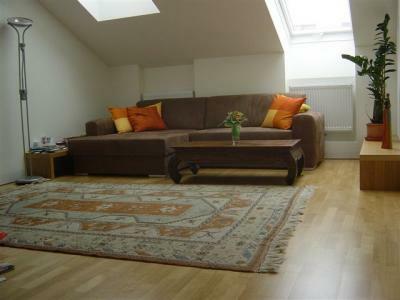 The 70 m� apartment for up to 4 persons is newly build, and offers all you need for a comfortable stay in Vienna! Close to public transport, you reach the inner city within 15 minutes. The apartment is on the top floor of a house with lift and a garden, build in 1900. It is very close to Schoenbrunn castle, so take a jog in the park or a relaxing walk in the Schoenbrunn gardens.